When it comes to reviews, it’s critical to understand that audiences now have the power to make or break your reputation online. While one angry Joe may seem like a small cloud in a sky of glowing reviews, today’s digital industry has made the skies a lot cloudier and the storms much more difficult to endure. Social media and other applications grant audiences the ability to rapidly share information and opinions, glorifying word of mouth at the level of expert opinion. So how can your business prepare for the next storm? As we maneuver over the mid-year hump, this week we’re recapping Brandify’s tips on reputation management and how we help businesses make the most of their reviews. 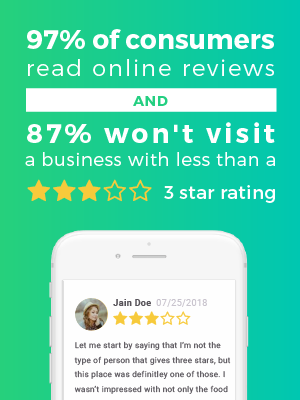 Many businesses facing the same reputation dilemma are asking, “How do I build a positive reputation and good reviews without asking for them?” Sure, every business wants to ensure their reviews come straight from the minds of happy customers. But the reality is that review sites frown on any practice that looks biased. It might be a lot easier to turn a blind eye to those one-star reviews and highlight positive reviews as testimonials on your site- but you’re not going to be fooling anyone when sites like Yelp and Google compile both positive and negative reviews. While in today’s industry it’s completely fine to survey your customers for broad feedback, review platforms have strict guidelines when it comes to asking for reviews. Google refers to the process of only asking for reviews from happy customers as “review gating,” and Yelp discourages business from even asking for reviews at all. Though some businesses still ask for reviews with the age-old “suggestion box on the wall” method, this simply doesn’t fit in with today’s streamlined review technology. In order to work well with brands like Yelp and Google, your business will have to conform to their rules or simply be left behind. But what’s the best way to follow the rules and still gather accurate reviews? Simply put, your company should take the indirect approach- creating awareness around the brand without trying to influence in any way what the customer says. A good first step to getting the word out about your business might including creating a listing on Yelp and taking advantage of their promotional materials. Many brands use Yelp to encourage customers to check-in and provide feedback on their business. In his article “Should Local Businesses Ask for Reviews,” Brandify’s VP of Product Damian Rollison breaks down the thin line between asking customers for feedback versus bribing them for reviews. Rather than directly asking customers to leave reviews on businesses they visit, Yelp provides businesses with attention-grabbing “Find us on Yelp” window clings and “People Love Us on Yelp” stickers. These promotional materials encourage customers to visit the company's Yelp listing, which in turn makes it easy for them to write a review. Over time, Yelp's promotional materials help brands build trust by offering customers the opportunity to provide feedback at their own discretion while promoting brand awareness. But some brands confuse Yelp's promotional materials as opportunities to ask directly for reviews in exchange for discounts or coupons. This is a mistake that can result in biased reviews and inaccurate feedback on that business. Yelp continues to emphasize the need for unbiased reviews, “customers who are conscious that they’re writing a review in response to a request may go easier on the business than those who write of their own volition.” Going easier on a business by leaving positive reviews might sound great for your business in the short run, but these reviews impose a sense of bias that can push people away from your business in the long run. The best way to tackle biased reviews is to separate promotional materials/incentives from any feedback requests, and give your customers the liberty to leave their own reviews. As Rollison said, “Get your customers to love you by providing great service, and the good reviews will follow.” Once the reviews start pouring in, the last step is to make sure you’re paying attention to what customers are saying. Since today’s audiences are even more receptive to how businesses respond to their reviews, a little attention to your customers goes a long way. 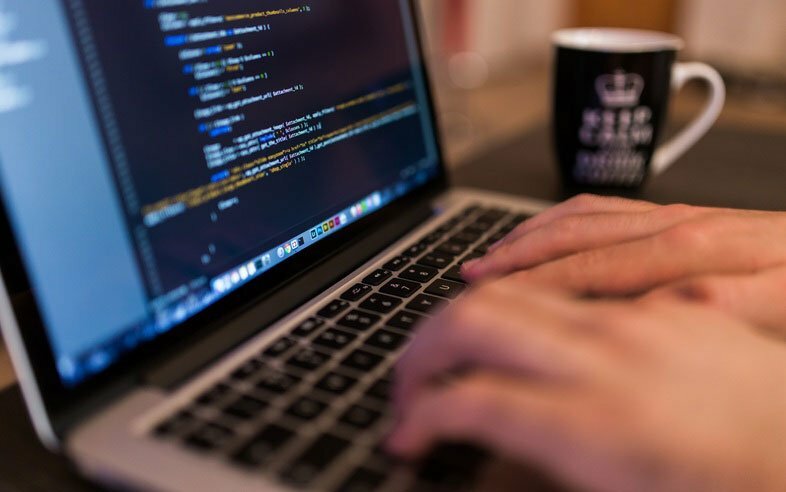 Products like Brandify’s Reputation Management software allow companies to tap into the pulse of their audiences and directly understand how to cater to their needs. For example, Brandify provides companies with opportunities to analyze customer sentiment historically, across different geographical regions or locations. Additionally, we give customers the ability to search by specific keywords that represent their brand’s most important products, services, and amenities. In today’s age of tech-savvy consumers and word of mouth, more customers are considering reviews before visiting a location than ever before. - Be objective when addressing your customers' reviews. Always use a professional tone and strive to make each review response personal. - Know how your customers are feeling. Understanding the sentiment in your reviews is the key to responding appropriately and preserving your brand's reputation. See an example of how to best respond to reviews here. - Avoid using promotions or discounts in exchange for reviews. These often cause your customers to leave biased reviews- skewing your reputation negatively in the long run. - Keep the momentum going! Even when reviews are good, it's important to check-in with your customers to ensure the positive reviews keep coming. Ready to take control of your reviews and gather knowledge on your audience? Schedule a demo with Brandify today and discover our optimized Reputation Management software. Communications Specialist at Brandify. Full time writer, vlogger, and cat mom.